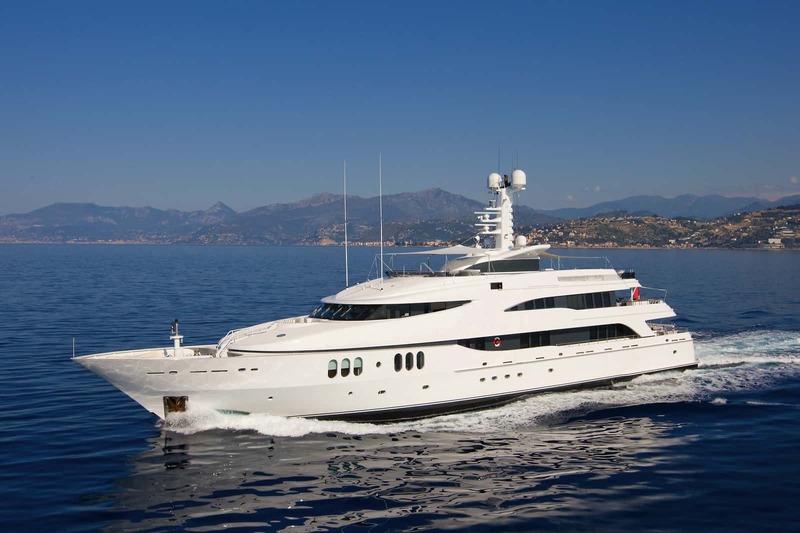 You will know VIP status once you step onboard a luxury chartered yacht. It’s a feeling that is difficult to put into words, and an experience that is a must for those are in need of the ultimate spoiling. The ultimate luxury, privacy, and freedom await those who choose to take advantage of the exclusivity of a luxury yacht charter. Perfectly tailored to your need and requests, your luxury chartered yacht is yours and yours alone, with your own personal crew to ensure that your every need is fulfilled, and your expectations surpassed. Feel free to indulge in the luxury and freedom that you now own, making the best use of the incredible accommodations, breathtaking scenery, endless onboard and water activities, as well as gourmet cuisines and unmatched dining experiences. All this and more is just the tip of the luxury yacht charter experience. The comfort, elegance, and prestige that you will receive in your luxury charter yacht experience is something that is unrivaled in even the most upmarket hotels and boutiques. From private movie theaters and personal spas and treatments, the 24-hour, on-hand services accompanying your luxury vacation are a service that comes standard, and no need is too small. Your professional crew is on-hand to tend to your every need, while understanding that your vacation is your personal time, acting in a manner that is most professional at all times. This is an experience that you can have nowhere else in the world. The abundance of modern technologies available nowadays means that although you are leaving the land, you do not have to be out of touch with the rest of the world. Modern electronics and satellites have allowed you to stay up to date and keep your finger on the pulse with the “outside” world, so you never have to miss a thing. Email and internet come standard onboard and are enjoyed from the luxurious and spectacular views of your new blue superhighway. Apart from the onboard luxuries, services, and amenities offered, your private luxury yacht charter is going to take you across the splendors of the blue ocean, hopping from island to island, and really showcasing the beauty that is our natural world. Snorkeling, boating, water sports, jet skiing, and other activities are great ways to get closer to the splendor of your natural surroundings, taking full advantage of all that is on offer to you. With water toys to suit the needs of anyone on board, the world beneath the waves is accessible to anyone, and a wealth of adventure that cannot be missed. Mini-submarines are just one of the latest additions of luxury yacht charter toys, creating an ever more unforgettable luxury yacht charter experience. There is nothing that can compare to a luxury yacht charter experience. Not the most luxurious hotel or state-of-the-art cruise liner can offer you what a luxury yacht charter experience can. The endless activities and 24-hour pampering, while traveling to the most beautiful places on earth, is an experience that simply cannot be replicated anywhere else.